Need help from an NHS Continuing Healthcare solicitor? Care to be Different > Articles > NHS Continuing Healthcare > Need help from an NHS Continuing Healthcare solicitor? ‘Primary health need’ made simple – what does it really mean? Do Continuing Healthcare assessments in hospital still exist? Do you need help with your case from an NHS Continuing Healthcare solicitor? You’ll find heaps of useful free information and resources on our website to help you with NHS Continuing Healthcare. At the same time, doing battle with a CCG over NHS Continuing Healthcare funding can be frustrating and exhausting – not to mention daunting at times. It’s understandable that you might need help from an NHS Continuing Healthcare solicitor – someone on your side to fight the battle for you. Having a specialist to help you with your individual case can be invaluable – and can save you a huge amount of time and stress. However, if you need specialist help to fight your case, then consider Farley Dwek Solicitors Ltd, a specialist family firm, who understand the law inside out and have been helping families throughout England and Wales. Farley Dwek have a wealth of expertise, knowledge and success in this particular arena – acting for families whose relatives are currently going through the assessment process, and/or acting retrospectively to recover care fees wrongly paid. Just so you know, the two Directors of Farley Dwek are also Directors of the company that owns this free resource website. Care To Be Different was a natural fit with the ethos of Farley Dwek Solicitors, who campaign nationwide to bring the deficiencies in the NHS Continuing Healthcare funding process into the public domain. They were the first solicitors to produce a FREE Guide, entitled “Care Funding Issues” which you can download; plus get more free resources and information on their website, where you can access their monthly newsletters, blogs, FAQs and case studies. What’s more, you can speak to Farley Dwek on the phone initially free of charge, so that they can give you a view on your potential NHS Continuing Healthcare eligibility and prospects of success on appeal – without you having to spend any money at that point. As NHS Continuing Healthcare solicitors, Farley Dwek have a team of specialist nurses, who have worked on the ‘other side’ with CCGs and know what needs to be done to present a strong case. They can attend NHS Continuing Healthcare assessments with you, support you with advocacy and be on your side each step of the way. So, whether you’re at the start of the process for a relative, or you are stuck in the appeals system, or you are are making a retrospective care fees claim, Farley Dwek can help you. And because they’re specialists, with many years of hands-on practical experience acting for families in this way – and in dealing with funding assessors and decision makers – they understand what’s needed during assessment meetings, to challenge mistakes and misinformation. Depending on the circumstances of your case and the likelihood of success, they may also be able to offer you a no win no fee agreement. This is where they take all the financial risk to fight your case, and you pay them an agreed amount afterwards – but only if you’re successful. In the first instance though, talk to them about your case – free of charge – to see if they can help you. Should you also need help with wills, finances, trusts, powers of attorney or probate at any point, you’re welcome to talk to them about that too. Find out more about Farley Dwek here. My mother has just completed her 3rd checklist assessment this time in a temporary care home after a fall and with two people, only one of whom had met her for 20 minutes the previous day and her social worker. At the meeting it became clear the care home had failed to adequately record my mother’s behaviour, something mentioned by the assessment team themselves who reprimanded the nurse. My mother was marked each day as ‘settled’ whereas one of the great problems of her care is unpredictable aggression. In addition the nurse from the care home left the meeting three times, struggled to understand the questions asked of her because of language differences and the mental health nurse the assessment team had recommended be there was not present. Is this sufficient to appeal? Hi, we have just had a the DST meeting for my mother in law. There were 3 people that formed the MDT non of which had met my mother in law until half an hour before hand. One was a social worker, one was a clinical lead and the other was a very new nurse. I questioned the fact that none of them had had anything to do with my mother in law whilst she has been in the hospital or the ward she is now on. The clinical lead said this was the way they did things and that she all the notes etc for my mother in law. Eventually they asked a nurse off the ward my mother in law is on to come to the meeting. This poor nurse seemed very uneasy but did sit in and give some answers where she could. About 3/4 of an hour in to the meeting the ward nurse was called away, but the DST was finished without her. I am very annoyed about this as I don’t feel anyone knew my mother in laws needs in any degree that they could have give a true decision. The decision went against recieving CHC but we have to now await the CCG decision before appealing. CHC was withdrawn Sept 2018 from my Father after he had been receiving it for more than a year. He had advanced Parkinsons and Lewy Body Dementia – both deteriorating naturally – yet the inspector said that his condition was now “manageable”. Two weeks later his Nursing Home advised they could not meet Dad’s needs and so he was brought home (where I might add his care improved beyond belief). I am appealing the CHC decision but still waiting for the local resolution stage – how long does this drag on? My father passed away meanwhile, and although we had managed to get a checklist completed for eligibility for a new CHC assessment, the checklist never left the desk of Social Services due to incompetence and lack of follow up, so we were denied the chance to have a re-assessment. I will not give up with the appeal but shocked at how long it is taking to even get to local resolution stage. If you do as I did, to shorten waiting time, I would threat the CCG in writing that if you do not hear from them in two weeks about a local resilution meeting date, you will be esclating to NHS England due to the unaccepatble and unjustified delay. And then do that. QUESTION: WE HAD FUNDING FOR A HOME CARE PACKAGE. CCG DID A PRE-OCTOBER 18 ANNUAL REVIEW AND DECIDED NO LONGER ELIGIBLE. WE COMPLAINED THE PROCESS WAS NOT PROPERLY FOLLOWED. CCG AGREED TO DO A RE-REVIEW BUT INSISTED IT HAD TO BE DONE UNDER THE NEW OCTOBER 2018 FRAMEWORK (WE AGREED, NATURALLY). THEY HAVE NOW RENEGED ON THIS, STATING THEY HAVE TO CARRY OUT THE REVIEW UNDER THE OLD FRAMEWORK (CLEARLY THEY WANT ANOTHER BITE AT THE CHERRY ON ELIGIBILITY, WHICH IS NOT NOW THE FOCUS UNDER THE NEW FRAMEWORK). I ASKED “BY WHAT AUTHORITY DO THEY HAVE TO ADHERE TO THE OLD FRAMEWORK”. THEY CLEARLY DIDN’T KNOW AND THEY REFERRED THE MATTER TO NHS ENGLAND WHO APPARENTLY AGREED WITH THEM. I HAVE CONTACTED NHS ENGLAND MYSELF (NOT EASY!!) BUT DESPITE ASKING A SIMPLE POLICY QUESTION, THEY KEEP ANSWERING A DIFFERENT QUESTION. THE LAST PERSON TO RESPOND SAID THEY WOULD CONTACT MY LOCAL CCG. (STILL DON’T APPARENTLY UNDERSTAND I AM ASKING FOR AN ANSWER ON NATIONAL POLICY, NOT LOCAL DECISION). THAT WAS 2 MONTHS AGO AND THERE HAS BEEN NO REPLY. THE FRESH REVIEW TAKES PLACE IN A FEW WEEKS’ TIME. IF ANYONE HAS ANY EXPERIENCE OR ADVICE ON THE MATTER, I WOULD BE MOST GRATEFUL. I find your story appalling. I fought for my father care funding for many months before he died two weeks ago. It was a long ongoing battle, as they kept reviewing him and removing funding. In the process I have learned a lot about the ordeal sick people are put through. And a lot about the system. Also, continuing healthcare is a postcode lottery. What is your health authority? I was shocked to see that people from a different borough who where staying in the same care home where dad was for a while before going back home were funded by their health authority, and they were more able and less sick than dad. That motivated me to appeal. You should continue with your appeal. I do not think there is much difference between the pre and post October 2018 system. The DST is essentially the same. The only advantage of the new system is in my view the clear statement that care can be provided and paid for wherever it is carried out: own home, residential home, or nursing home. Your dad’s case seems to be the current exercise of NHS cutting their budget against the rules. This system is all a big mess. But from experience, the system can be beaten. My dad’s grandchildren will have now their university paid with the money he saved for the purpose. What do they mean, the nature of my mother or the nature of her illness? If someone has need for continual supervision to avoid injury due to falls as their dementia makes them unsteady and forget their stick and have anticoagulant treatment and osteoporosis is that a ‘healthcare need ? What about encouragement to eat being social care ? (she cannot even make a cup of tea in any circumstances and wont eat unless encouraged and supervised and gets undernourished. How about cognitive function, my mum knows who we are but forgets where she is, her way around and what she was just told moments ago even information to avoid injury ? How about complex medication need reminding and supervision ? observation for signs of imbalance that can be dangerous that she cannot herself manage frequent wandering with the risk of falls as outlined supervision a health need or personal care/ social care ? Are these type of needs at all within ambit of continuing healthcare so that doing the checklist is worth it ? I’ve been told if the person can manage the toilet once in there, does not get aggressive and knows who we are ( it is said this represents good function) there is no potential case for continuing healthcare Also it is said that unless nurses are involved it cannot be healthcare needs being met . Hi Alison, did you get anywhere with your questions? My mum is very similar to this, we have an MDT meeting tomorrow. Father in hospital, stroke, he has capacity though, paralysis on left side leg and arm, (couldn’t swallow but now can), speech slurred but he is mentally capable, incontinent due to paralysis, has to be lifted by a hoist, metastasised prostate cancer that’s now in the bones, one particular tumour in the spine causing pain, osteo arthritis, diabetes the list goes on. I understand that diagnoses of illness doesn’t mean anything its more based on your capability to do what’s on that continuing healthcare assessment sheet. We were asked to a ‘meeting’ where his condition and discharge was discussed, I asked re the Continuing Care Assessment & found out they had done one with no family member or advocate present that they then said oh ignore that it was done wrong. When I said I wanted another one done, as per all stories here, was told not necessary, won’t change outcome. I insisted. They did one. He got 5 B’s which meant he should go to the next assessment, ward manager told me they would send it off to request this. I went home only to be told by my Father that the doctor who had said it wouldn’t change the outcome came back after when he was alone & with another doctor reduced the B’s to C’s so he doesn’t now pass to send it to the second assessment. Matron then very unkindly told my mother that my father was bed blocking. I am going to appeal this, but I am waiting for copies of the second one which they are SLOW (1 week now) producing…. Today my mother had a call from a social worker re a meeting to discuss care homes. When my mother explained the situation and said we were in the assessment process and were appealing the social worker said we HAD to have the meeting anyway. My question is DO WE?, how can we discuss care homes and discharge when we are still in dispute over this assessment? I was hoping to get some response back from the assessment panel at least and then refer to Farley. Can anyone in the interim help me with that social worker meeting question as thy want it this week. Thank you very much for reply. As we have so many issues I am contacting Farley Dwek for advice. From our families point of view the illness is the LEAST stressful part of it. Sadly its the lies and nastiness surrounding the care that’s the issue and from reading here we are not alone…..
Hi Cara – you have every right to insist that the Local Authority awaits the outcome of the Panel decision. You can assure them that all relevant financial information will be disclosed when appropriate once the CHC decision has been communicated to you. Many thanks for your response. The individual from the local authority is particularly difficult to deal with so the more ammunition I have the better – can you point me to the specific piece of legislation or other regulation which specifies this? Is it para 105 of the National Framework, or something else/additional? My daughter age 52 was successful in starting to receive CHC funding in April 2018.
she lives in her own rented apartment and has 24/7 care. She also has extra care (double ups) for going out into the community and for personal care. The weekends are the problem. She has a care provider when she changed from LA funding to CHC funding the same amount of hrs needed were transferred over via her care plan however, this is not enough to take her out at the weekends which she needs to do for family visits and activities although it is enough for personal care she gets depressed if she is not able to go out. The CCG have not done a 3 month visit. although in their letter at the start of this they said they would. Do we have the right to contact CCG and ask for the increased funding for double ups at weekends? As you can imagine the cost of her care is already huge, and I am wondering if it would cause problems if I or care provider approaches CCG to ask for more? Question from Marie: We have just gone through an IRP and my daughter was found eligible for CHC. NHS England have notified the local CCG but they refuse to grant CHC as they say that the IRP report is flawed as the panel recommended that some sort of Joint Funding should be put in place to ensure continuity. NHS England have now suggested we go through another IRP in another area of the country! What would be the point when the CCG can just refuse to honour the decision of the IRP? I have no idea how to proceed as I thought once we had got to this stage it would be straightforward however even NHS England are amazed. Hello Lynn, if you have power of attorney attorney the answer is yes and even if you haven’t if you don’t ask you won’t get. I’m not sure you have a right without power of attorney for health. However if they are being used to deny you funding the answer is yes because that is a financial decision and you are entitled to all information used to deny funding. Hi can I request a copy of mums medical notes and also those from the rehab unit she has been in for the last 5 weeks since discharge from hospital before any planning meeting takes place ? The password protection statement is obviously nonsense. It is upto the CHC administration to provide copies of al DST forms including the CCG,s panel decisions, including who attended. Names are sometimes an issue but you are entitled to know which individuals attended the panel. Start to have a go at asking the individuals to explain the reasons for their decision. This is actually a data protection issue.What has happened to the SW email account now they have left?The DST counts as a healthcare record.It has to be kept secure and for good reason.It cannot remain on a personal work email unavailable for anyone else to view.Check all data protection rules and the new GDPR and use any literature to complain to the Governance Officer.Their IT dept should be able to obtain access to it. 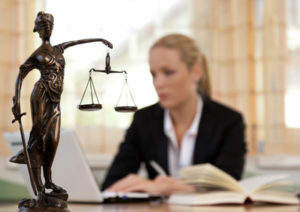 If you have to then request a Subject Access Request (SAR) you should get all information including emails etc on your relative.They have to comply with this request within 40 days after which you have the right to complain to the Information Commissioners Office.Alternatively complain to the highest, Director or Chief Executive and quote the Data Protection Act specifically in the subject matter. Sally – Please remember that all CHC and CCG employees are governed by the Civil Service Code of Conduct. If they are outside the code then they can be personally responsible for their own actions. You should not have to take this route as long before it reaches that position somebody within the service should want to stop the nonsense and resolve the issues. They will ignore any legal requirements even a SAR because they are not accountable to anyone and they want to get away with paying CHC only to those who “shout” the loudest and go to the highest with the complaint.They ignored a letter written by our solicitor ( not Farley)They would never get away with any of this withholding of information in the private financial sector hence the risk of expensive litigation.There appears to be no risk with CHC. They can even withhold 1000 of documents under a SAR, believe me they did with a feeble excuse. Apparently “some ” documents were unavailable and when eventually disclosed turned out to be nearly 2000s worth .They will ignore requests until made to disclose by someone else. Even a Governance Officer dealing with data protection was useless.You have to keep going however frustrated you get with the response or lack of it. So now I’ve been told the paperwork is password protected and the person has left, but listening to my recording I clearly hear the SW say she has the previous DST in front of her. So lies! Sally – If you have a general power of attorney you are entitled to copies of all the DST documents together with any other documents that the CHC are using to arrive at their decisions. You can ask for copies under the release of information law. You can also write to the OMBUDSMAN and tell them that the CCG or staff under their control are deliberately frustrating your attempts to secure a fair and reasonable settlement of your love ones case. My advice is to also copy your MP and ask him to approach the minister of Health on your behalf. Also copy Mr Simon Stevens at NHS headquarters in London and request that he look into the reason why they will not release the information that you are entitled to. If you don’t get any sensible information within 14 days send a copy of your request for information start sending copies to the national press. Hi. My Mum (aged 50) and is in the Advanced Stages of Huntington’s Disease. In February my Dad, who was her main carer at our family home in South Wales, suddenly passed away. I am now her main carer (aged 26) but live and work in Manchester. After careful consideration I have decided to apply for CHC funding and move my Mum to Manchester. However, I am unsure where to go to for support, advice and help with this battle? Our DST meeting is on Monday and I still don’t know who my care co-ordinator is and I am phoning round to request medical reports from Speech and Language Therapists and dieticians. Not to mention being pestered for a financial assessment from social services. Fortunately I’ve read Angela’s book and had some great tips. Could anybody recommend anyone else to speak to or read/watch? Any help would be greatly appreciated!!! I am still going through appeal process and dad is also due a new assessment in the near future. Another resident at dads care home was turned down last week for the 3rd time for funding. the assessor said because his needs were well managed he didn’t qualify. the social worker attending the meeting said she wasn’t allowed to say such things because the underlying needs were still there and it was against National Framework. The assessor responded that her hands were tied because it was the CCG rules. How can assessors still say this and get away with it? 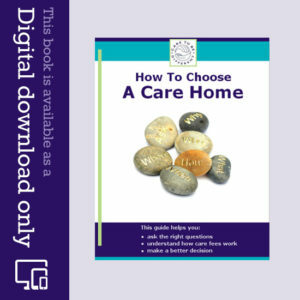 Also for anyone about to go through an assessment I advise you to check all the care home records including care plans carers notes medication charts – in fact everything you can get your hands on. For Dad’s appeal I have found all sorts of evidence to support his claim. It’s also a good idea to keep a diary of your visits and how your relative was on that day eg.hallucinations , any marks on body, slurred speech, confusion etc. I have found on comparing my daily notes with homes it looks like we are dealing with 2 different people. insist on regular meetings to compare and review so they have accurate info to look at. Hope this helps someone. Lizzie, they shouldn’t as CCG is making it’s own rules. It is quite clear that the framework is a national guideline to be used by all ccg’s in England. What you have been told is tantermount to “misfeasance in public office “. Tell the C C G person you seriously considering instructing your solicitors to bring a Misfeasance Clam against her personally because she does not neither does the CCG have the Authority to amend the National Framework Agreement or the .N H S guidance lines for the implementation of the Framework. Also tell them you do not make threats only promises that you have a firm intention to implement. Give them 14 days to respond from the date of your letter. Date and post it recorded delivery on Friday midday. Sit back and only respond to written communications. If Someone phones tell them to put it in writing. Is anyone able to explain why on DST it is stated 24 hr nursing care is required but turned my Mom down for funding? We’re at an early stage – Mum [with Parkinsons Dementia] is in hospital two weeks after hip fracture operation after a fall, but making little progress in re-gaining previous mobility and reduced cognition etc. The first pre-discharge ‘best interests’ meeting with the social worker nurse at the hospital suggested that if return to home wasn’t viable (it isn’t) then their recommended choice for Mum’s current and likely future needs [if not a short stay in rehab] would be a place in a nursing home. Does such a recommendation (i.e. nursing home rather than just care home) by definition mean that CHC funding would be granted? Hi. I’m afraid it’s not that simple. If you’d like to chat it through please do get in touch. I have lodged three appeals 2013, 2015 & 2018 al have been successful and NHS Continuing Healthcare paid together with restitution of costs. Had the Decision Support Tool (DST) followed the NHS guidlines and proscribed processes then none would have been needed. The process is broken. This worry every year is very wearing and although it has affected my own health I am still determined and will not give to the divergences and I await countering the next set of errors next year. We have countered [the CCG] as a family and produced written statements on each occasion. You can do it yourself but it takes hard work and perseverance. Read the Framework, mark your + & – points, then read the DST processes as set out in the Official instructions. You won’t have to trip the assessors up they will do it themselves. Write all your arguements down and compose your written submission in detail. Put it all in, expect them to knock some points down but, stick to the major points that alter the DST score. Don’t let them combine parts of their description where it says ‘or’; ask which dictionary definition of ‘or’ they are using. You are only interested the normal interpretation of the meaning of words. When they start with medical definitions you don’t understand say so, make them explain the meaning. Even if you know make them explain in plain English. It stop them trying to bamboozle ordinary people. If this helps just one person then I am pleased and ready for next year. Thank you for your support ..Are you able to elaborate what appeals you needed to get the right decision. What do you do if 2 Severes are agreed but funding still denied. Surely if domains are agreed then what is the point of an Independent Review Panel or the Ombudsman.Used dictionary on everything, especially the word dressing, it is what it says to dress in outdoor clothes. So a bedbound patient does not engage in that daily activity. What they do have is a change of “night clothes” to keep clean so it could be both social and health. This is just one example, we have many others we can prove are health not social needs. I am an “ordinary” person who has just got clever so not to be bamboozled!! My dad is just about to be assessed for NHS Continuing Healthcare (CHC) funding and the assessor seemed hopeful. I noticed his current private care home contract says that if a contribution to care home funds is made, e.g. CHC (explicitly named) then we are responsible for the shortfall. Is this legally enforceable given advice I’ve seen on this website? If your dad is awarded NHS Continuing Healthcare (CHC) funding, all his costs should be met by the NHS there should not be a shortfall. Be careful they will try to award Funded Nursing Care. This only covers 2 hours per day of nursing cost and will fall wellshort of acrual nursing home cost. Appeal if your case is good. Don’t accept that the assessors are on your side or fair and reasonable. Be sure you are right and stick to your guns. Ask which dictionary they are using. The normal everyday usage of words is correct. Good luck you should win at stage 2. I persisted and have won reinstatement and restitution of funding for my wife. This is what should have happened in the first place instead of all the stress and worry bt the rules not being followed. My advice is stick up for your loved ones rights and don’t be put off by their interpretation of the rules. Good luck. Hello, i will try to keep this short as there has been a catalogue of what i believe are errors. In June 2016 my mother was admitted after having a massive stroke on the left hand side of her brain causing her to lose the use of her right arm and leg, also affecting her speech (only says yes, no and goody goody). Several capacity tests have been done, the last in March last year. The hospital were keen to move her due to issues at the hospital, but we managed to get an assessment done before she was moved (October 2016). Unfortunately due to incompetence by both the NHS and Local Authority she was not picked up until November 2017, subsequently leading to a negative decision being made last week. some of the issues include discharge form not completed properly, an illegal capacity test done and admitted by a doctor, being fobbed off by adult social care when I tried to make contact between Jan 2017 and Mar 2017, given the wrong number to follow up my mother’s physio, where they had failed to fill out. I don`t want to involve a solicitor, however this is feeling like I may need to. Can any of my listed failures help with someone stepping up to do the right thing. I am already putting an appeal together after receiving the decision this morning by post. Very slowly we move forward, today I received copies of the Decision Support Tool (DST) 02-2017 and DST 02-2018. Now I can look at what the assessor looked a because at least its listed and proves what she didn’t look at. Wish me good hunting at the beginning of the long slog for the third time. They have offered a meeting,(date to be agreed). I’ll keep you posted. Hi Sally. If you have a power of attorney they have to give you a copy or alternatively to your mum. Settled myself down in the garden the other day with Angela Sherman’s book, all dads medical record and the Decision Support Tool (DST) completed at assessment and the decision papers. I have written and scored a new DST myself after reading in detail how the criteria should be applied.It has really helped me to focus on what is important. Now awaiting a local review. On the original assessment it was stated by them dad need 24 hr nursing care and on the CCG decision doc it was stated by CCG dad needed 24 hr nursing care, and they still turned him down. Is it me or are these people just not on the same wavelength?. Hi Lizzie – the fact that someone has nursing needs does not unfortunately automatically qualify them for NHS Continuing Healthcare Funding. If you need any assistance with the appeal process please do not hesitate to get in touch with us. Remember that there is only one further right to appeal after local resolution – to NHS England. Kind regards Andrew Farley, Farley Dwek. We have just been declined for a second time by the Independent Review Panel (IRP) for retrospective funding for our late mother. Despite being scored as 1 severe need, 3 high needs, 4 moderate needs and 2 low and one mo need. 2 of these scores were changed from high to moderate, as they say that, as mum was so sleepy and spent long periods of time in bed following her return to the care home after suffering a stroke, that there was less risk than previously. They dismissed the fact that the hospital found mum to be severely underweight and referred her to the hospital dietician, as they say, whilst she was underweight, she was stable. Everything we argued regarding her needs was dismissed, as the bottom line for them was, all of her needs could be met by the home, without the need for any additional input. They say her needs were not medical, just social . The IRP were extremely critical of the CCG and Continuing Healthcare for the failings in following the National Framework. The errors and lack of compliance are shocking, but still, the IRP upheld the decision to decline mum. We now have to take our case to the Ombudsman as the IRP will not take the matter any further. We do not know where we stand, we are convinced that mum should have qualified, but, it keeps coming back to whether her needs are medical or purely social. Watch out for vexatious time scales. ’10 days or we will consider you do not wish to continue.’ Arrived Saturday, 2 days lost. Return post 2 days lost, solicitors to access archive and produce another certified copy of Preparation Of Attorney, write letter and post 4 days. Add another weekend 2 days. Just possible if everybody involved drops everything. I did not find this time scale anywhere in the guidelines. Another ‘let’s make it difficult for challenging the process’, which in itself was not carried out correctly in the first place. Why do I get annoyed, this is only the third time. I should be used to it by now. They will not wear me down. I’ll keep you all posted. Ignore it as it is rather ridiculous when you consider they took 6 months to get paperwork to NHS England for an Independent Review Panel (IRP), then they say “we are currently unable to provide you with a date for an IRP. When then, response ,no idea?? “No timescales there then. Worn down and hanging on in there. My husband Richard has nitrofurantoin induced fibrosis of the lungs, has severe heart problems, he is badly brain damaged and suffers from severe bladder infections all from negligence at our local hospital. Richard needs constant care he is incontinent and has communication difficulties. I have been trying to get NHS Continuing Healthcare for over three years now. I feel angry that I have to pay for carers when it was the fault of the hospital the way he is. I was in touch with you some 3 years ago and your advice helped me to win Continuing Healthcare. This award has continued until this current assessment. My wife is now toward the end of her journey, the ftd is now much worse and she requires continuinous supervision and nursing supervision. She is now bedridden 24/7 but the assessor decided that her funding should be withdrawn. She said that she would recommend Nursing Care only, an obvious cost saving. I seem to remember that there are precedents set in the past that indicated ftd is a genetic disorder and should be funded. Where can I find these precedents please. I am running out of thr ability fight them yet again. I amazed at the amount of lying going on by the assessors. My father was admitted to hospital last april following a bad fall. Five weeks later he was granted NHS Continuing Healthcare (CHC) and moved to a care home. After the initial 12 weeks he was reassessed and the funding withdrawn. We are still battling with the CCG over this. When I read the Decision Support Tool (DST) I couldn’t believe the lies they told to reduce his scores. Dad is 87 is bedbound, doubly incontinent and can become aggressive when receiving personal care. He doesn’t know what’s going on and is unable to use a call bell or even shout out for help. The staff have been wonderful with him and between us we have managed his food and drink levels. He has a special mattress because of bedsores and he has to be checked every hour by staff. He is unable to understand simple instructions and has no coordination. There are problems giving him medication and sometimes I have to give it to him. he also has hallucinations and has had several TIA’s. He is on a DNR plan . He still has all the needs but they are being managed by the home and his family. The assessors even pointed out he hadn’t fallen since he’d been in the home , not mentioning he is bedbound and can no longer walk .After 6 months the CCG are now asking for more information to review the case. Every time I call they say the person I need to speak to is on holiday and so on. I have started to complain to anyone I can think of because their attitude is appalling. I am hoping they will review the case by the end of this month and then at least I will be able to log a formal appeal if necessary. I agree ! Think about looking at the care plans. Our relative similarly bed bound had all their care plans completed by a registered nurse including washing and dressing since as they were only able to have bedbaths .It was written to say these were necessary to prevent skin infections. There is nothing social about a bed bath !! ..and 24 hour care including hourly through the night.The National Framework refers to healthcare as planned , supervised by a reg nurse in addition to care given by a reg nurse.The same doctrine applies, managed needs are still needs .Sounds to me if there are high needs in communication, mobility and nutrition and contrary to how Decision Support Tools (DSTs) are written you may need only one key factor , here intensity to be eligible. Also look at the local authority limits. If the amount of care the majority of the time relates to health needs then it will exceed the incidental limit. Have a look at the Coughlan case to see how the boundaries of eligibility are now set too high. And whatever you do don’t give up otherwise the more cases people give up leads to more and more coverups, inaccuracies and downright false accounts of needs provided on these DSTs. There is such a lack of accountablility you have to push very hard to succeed. We have found the more eligible your relative appears to be will result in cherrypicking of the care notes to try and prove the opposite. My dads case has been reviewed by the CCG at last. they didn’t tell me they were going to have the meeting and took 2 weeks to let me know the decision. Prior to the meeting they contacted dads care home to ask them to confirm the scores they gave him in July but relating to his condition now. They have later denied this. Be warned- most communications have been by phone. Get them to put everything in writing and you do the same. then there can be no doubt. The staff they spoke to at the home were not present at the original assessment in July and are not qualified to agree scores in the Decision Support Tool (DST). I am now in process of going to the independent review panel. in the meantime I have arranged to have an independent assessor to do a new assessment of dads condition using the DST. This I hope will set the basis for any further assessments and reviews. At least next time I know what I’m going in to. I was naïve this time thinking they would be looking after dads interests. What an eye opener! To all of you out there going through this please keep going and get as much info as you can from the professionals. I have been amazed in the last 4 weeks just how much info is out there and it has given me the confidence to carry on. I’ve got my mojo back so heaven help them!!!!!! My wife has ftd (picks disease) and I need to locate previous precidents where funding was approved. I understand NHS Continuing Healthcare Funding was paid on appeal for ftd on a number of occasions in the past. The GEM assessor had never met her before spent less than 2 minutes with her and deciding funding should be withdrawn . Sitting on her own she trawled the care home records and filled the Decision Support Tool (DST) form on her computer before the meeting started. She did not discuss the reasons for her decisions with the meeting merely informed us what she had decided and invited everyone to agree with her decisions. She informed me that I did not have any say in her decisions and the families could not be involved in the final assessment. To my knowledge she did not look at ALL the care home records available. The accident log and the records of submissions to the safeguarding board in 2018 were not viewed as far as I am aware because they were not in the files she had. These records demonstrate that the risks have increased not reduced as alleged. The meeting was a blatant attempt to reduce cost because the CCG has major financial problems. I look forward to any help and advice you can provide. My health issues include cardiac, diabetes 2, CCL, arthritis, dropped foot amongst other problems. My mother received NHS Continuing Healthcare last July. However I have just realised that we are also receiving Attendance Allowance. I think she should not any longer receive that? I am also assuming that NHS Continuing Healthcare should not affect her state pension. Is this correct? 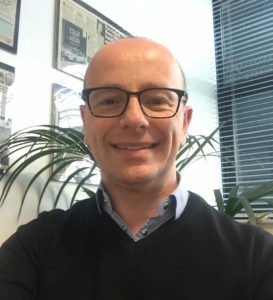 Susan Go on YouTube and search for NHS Continuing Healthcare (CHC) funding Professor Clements, he explains the case law behind CHC funding – I think you will be surprised. Also CHC funding Perkins. PS i bought your book , it’s great and many thanks for the enlightening information!! Cath – thank you for your very kind feedback on the book. I’m so glad it’s helpful. 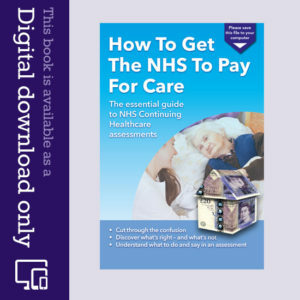 Assessors and decision makers need to fully understand the NHS Continuing Healthcare process, the eligibility criteria and the legal context in which the assessments are being carried out – including the legal limit beyond which the NHS must – in law – pay for care: https://caretobedifferent.co.uk/nhs-continuing-healthcare-assessments-2/ Many families are given incorrect information by assessors, some assessors admit to never having read the Continuing Healthcare guidelines and some have never heard of the Coughlan case: https://caretobedifferent.co.uk/the-coughlan-case/ It’s a pretty shocking situation at times. My mum has just had to pay privately to have a reversal from a bowel cancer colostomy operation and a hernia repaired which was behind the stoma, as there is a two and a half year waiting list here to get that operation done. She is 78 years old and could not wait another 2 1/2 years for this surgery as her hernia was the size of a coconut and was pushing her stoma bag off on a daily basis – so she could not leave the house. Can she claim her costs back from the surgery? Susan – if your mother needs ongoing care, then she should definitely be assessed for NHS Continuing Healthcare funding. You may also be able to claim back some care costs retrospectively. Regarding the cost of the actual operation, though, this may be a different scenario, and I would take that up in the first instance with your local CCG.